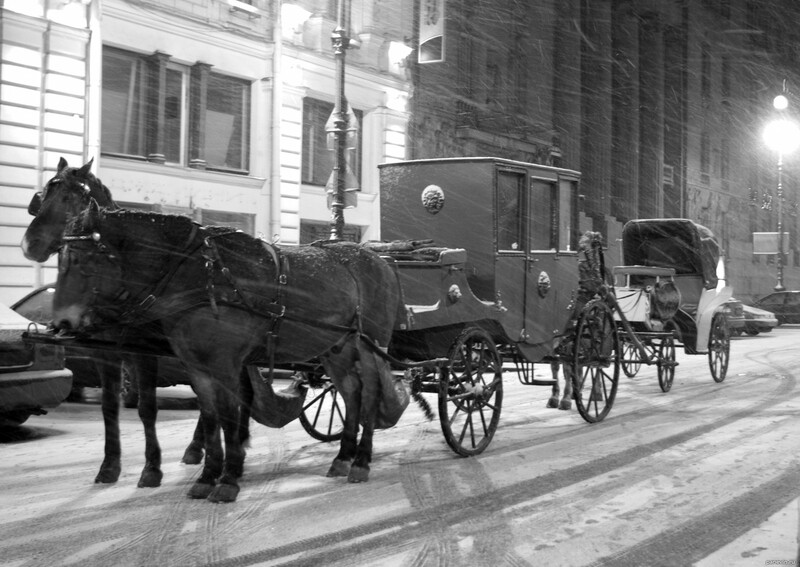 Various horse carriages which regularly offer services for tourists on Palace Square and near Kazan cathedral. black-and-white Black-and-white photo has the unique charm. It strengthens tragic element of a situation, cuts stirring motley details, allows to create accent on the most important thing. Undoubtedly, at monochrome pictures the perception, the colour. There is a tremendous charm in gradation black and white lights.